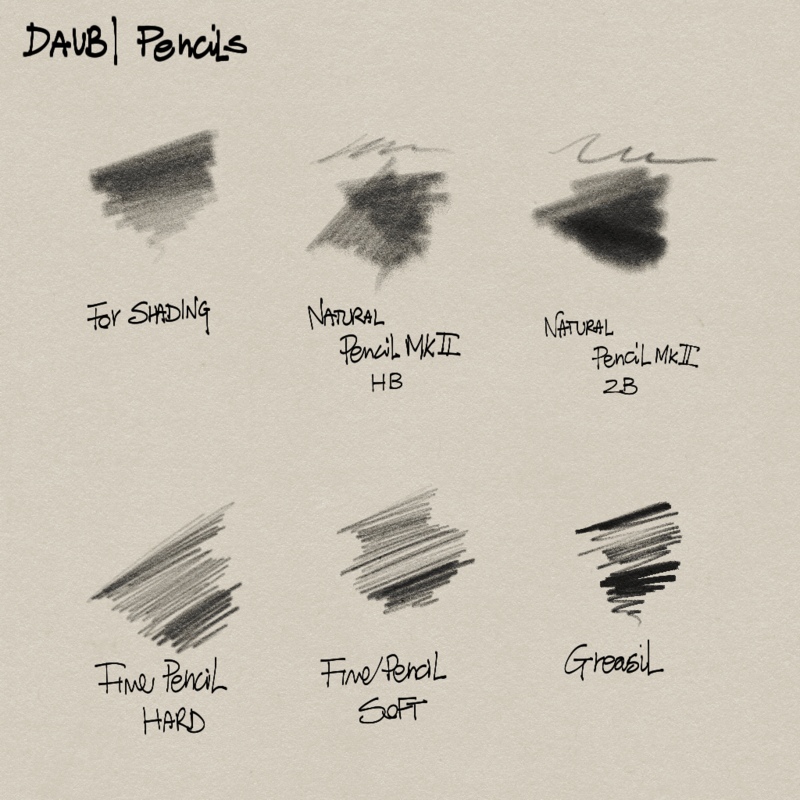 All these brushes are texture free, the grainy effect is obtained using a combination of custom brush tips. 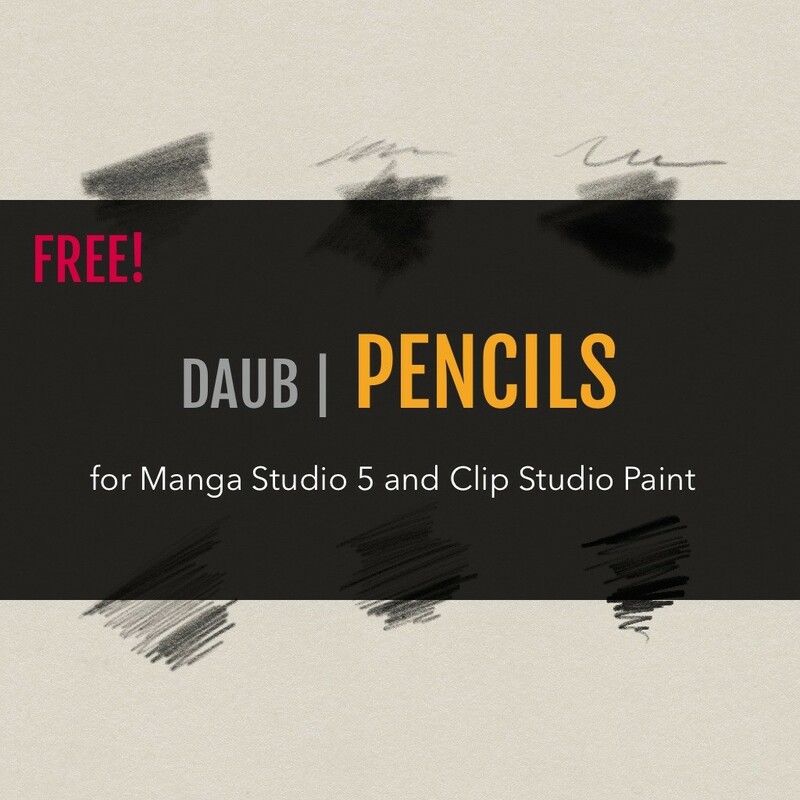 Designed for drafting, shading or whatever, fast and snappy! Fine Pencil Hard/Soft – No tilt here, fine and fast.